Still from a computer animated sequence from Lost Voyage, a 2001 horror/science fiction movie directed by Christian McINTIRE. 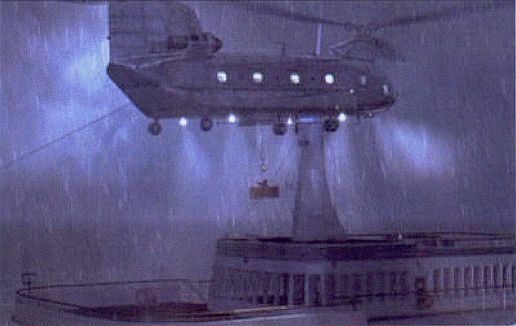 The sequence depicts a Chinook helicopter (probably a CH-47D) hovering over a cruise ship that had reappeared after it was lost years before in the Bermuda Triangle. See also next picture.